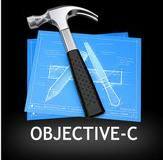 Posted on August 2, 2011, in Developer, Xcode and tagged ansi c, app, apple, Apple Mac, apps, build, build first app, c, Cocoa, developer, developing, first, first app, for app store, how, how to, IDE, iOS, iPad, iphone, leanr, learn, learn c, lion, Mac, MacOS, macosx, Objective C, programmer, programming, programs, SDK, software, Xcode, Xcode 4. Bookmark the permalink. Comments Off on how to become an Apple app developer.